Mozilla stands with hundreds of major technology companies and nonprofit organizations, and tens of thousands of digital advocates, in calling for reform of the Electronic Communications Privacy Act, or ECPA. ECPA was enacted in 1986 to ensure that wiretaps of then “new” forms of electronic communications (e.g., email messages between computers) were limited in the same way that telephone wiretaps were. The safeguards have been watered down over the intervening years, and were not extended to data stored on a computer. The result is that emails, social media messages, and other communications that users may consider private are not uniformly treated as such under United States law. Today, Congress, with bipartisan support, has proposed changes to ECPA. Yet many government agencies would prefer to see these reform efforts die. 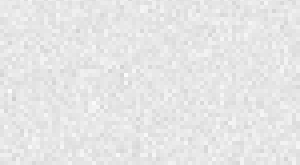 Internet users who value privacy and trust online must make their voices heard. Mozilla supports efforts for positive change in this space – and we’d like your help. 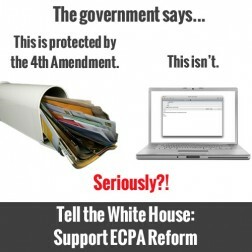 We’re asking you to join us by signing a White House petition asking for support for sensible ECPA reform. These changes alone won’t eliminate the harms, but, like the USA FREEDOM Act, they will make a positive contribution to that effort.